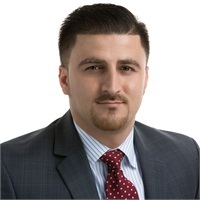 Jegir is a Financial Advisor and Vice President of Sales at Penn Mutual Music City Agency. His mission is to help clients protect their families and their assets from the hardships in life. Jegir aims to help each family reach their desired retirement goals. Jegir graduated from Belmont University with a Bachelor of Business Administration. He’s been in financial services for 10 years, spending 7 ½ of those years in leadership. Jegir’s awards* include Agency Managers of the Year 2016 and Gama International Front Line Leader 2016, and he holds the LUTCF designation. He is involved with the Tennessee American-Chinese Chamber of Commerce and the Tennessee Latin American Chamber of Commerce. Jegir loves spending weekends cooking out with his family, traveling and playing soccer in local men’s leagues. *The Agency Managers and Gama International Front Line Leader awards do not evaluate the quality of services provided and is not indicative of the applicant’s future performance.